This one snuck under the radar. Actress Victoria Mahoney's independent directorial debut, Yelling to the Sky, was financed by the Sundance Institute, and features a confident leading performance by Zoë Kravitz, daughter of rocker Lenny Kravitz. 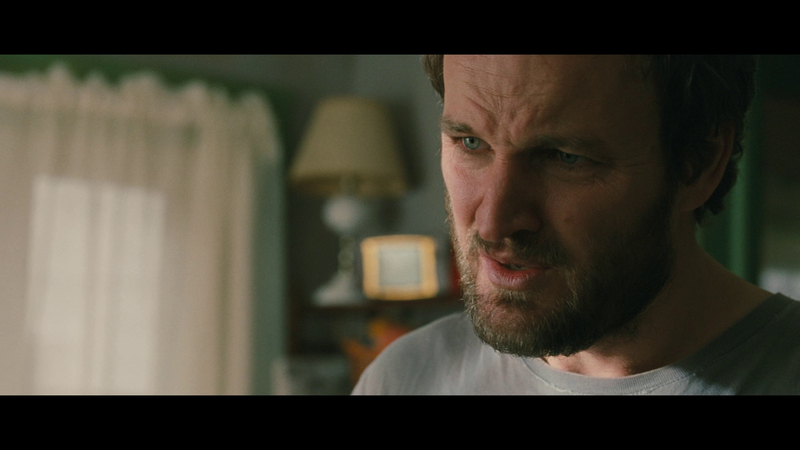 Jason Clarke, Tim Blake Nelson and Gabourney Sidibe also star, but Yelling to the Sky received little mainstream attention. Mahoney serves up a memorable if slightly undercooked slice of urban life, where Kravitz's Sweetness O'Hara is tempted by neighborhood hustlers and lowlifes and constructively abandoned by her emotionally tormented parents. Yelling to the Sky lacks resolution and some narrative choices ring false, but Kravitz overcomes these flaws with a commanding, authentic take on a girl lost. Sweetness lives with older sister Ola Katherine (Antonique Smith) and two parents at opposite ends of the emotional spectrum. Her mother (Yolonda Ross) is detached and nearly comatose thanks to an unnamed mental ailment, and the girls' father, Gordon (Clarke), is either absent or tormenting the women during his frequent bouts of drunken rage. Sweetness is equally unhappy at school, where gangs and bullies run unchecked by overwhelmed teachers. Despite nearly eighteen years of towing the line, Sweetness appeals to a neighborhood dealer to cut her in on the action, and Sweetness is soon pimping narcotics on the corner. Her newfound street credibility earns Sweetness some friends, but only the kind prone to stealing jeans from the mall and snorting coke at sketchy backroom parties. Life happens quickly in Yelling to the Sky. The opening scenes depict Gordon physically and verbally abusing Sweetness and Ola Katherine while their mother seeks mental health treatment. Ola Katherine leaves - and eventually returns with a baby - and Sweetness starts her downward spiral. 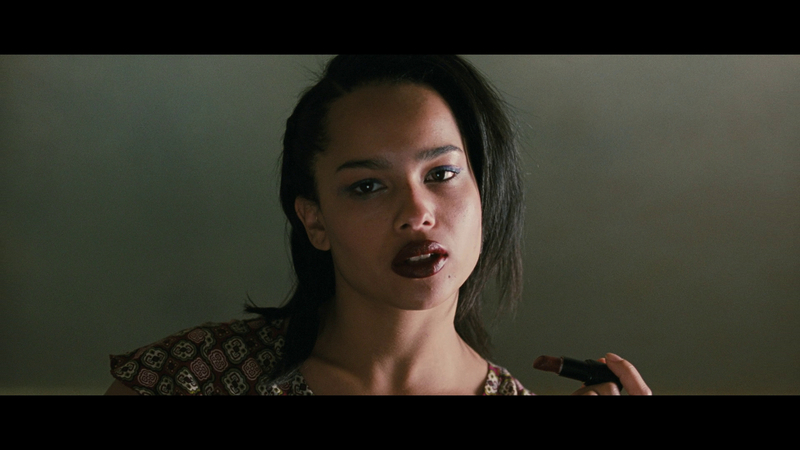 Much of Sweetness' torment is the result of her mixed-race ethnicity, and Yelling to the Sky hints at the hallway conflicts situated on race and social-economic lines. After his brother dies, Gordon wakes up from his hateful stupor, whether by sheer willpower or his own mental health therapy the movie doesn't say, and begins giving a damn whether Sweetness goes to school or comes home drunk and high. This doesn't go over well, since Sweetness is rightly skeptical of trusting a father who has cared so little about her during her time on earth. The girl who once picked up the pieces of those around her is finally allowed to fall back on the people who should have been there from the beginning. 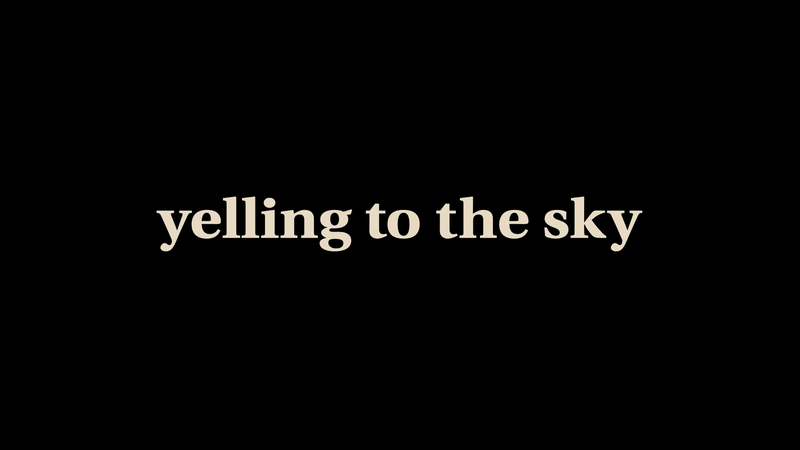 The main criticism I have for Yelling to the Sky concerns the occasions when it foregoes subtle character growth and allows its players to change, seemingly on a dime, their entire personalities. Sweetness falls hard into rebellious behavior, and Gordon's shift from abuser to doting father is jarring. There's also the odd character of guidance counselor Coleman (Nelson), who shows interest in Sweetness. In one scene Coleman is suddenly at the same party with Sweetness, bumping rails with drug dealers. These events are never mentioned again. Perhaps Mahoney wanted to show the fallibility in this seemingly decent character to make him more relatable, but the scene feels out of place. It's anachronous scenes like this that make Yelling to the Sky feel a bit undercooked, as if these were parts of plot explorations never fully explored. Despite a few rough transitions, Yelling to the Sky is an accomplished first directorial outing for Mahoney. She captures the mood and conflict of youth unpretentiously, and the film never resorts to trite moralizing to make its point. Kravitz is pretty great here; like on the cusp of blowing up great. As of this writing, her biggest role has been a young mutant in X-Men: First Class, but I suspect she will keep getting high-profile projects based on talent alone. Clarke continues his string of accomplished, brooding performances, and again proves adept at playing a man with a mean streak. 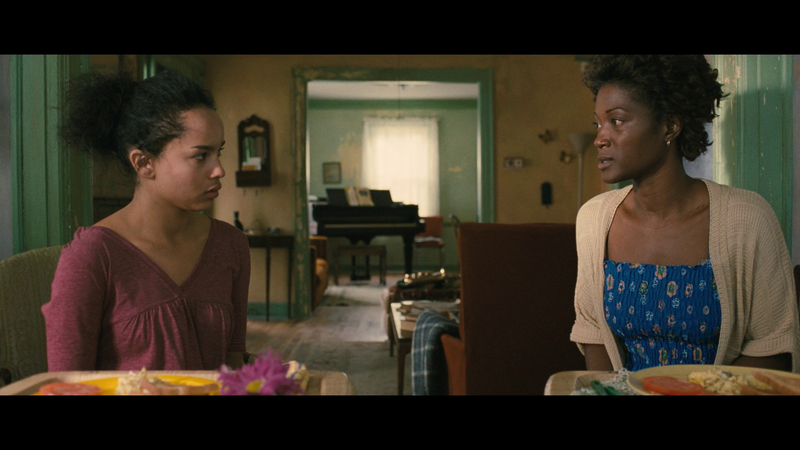 Sidibe isn't around for much of the film, but shows up as a particularly nasty bully. Yelling to the Sky deserves to find an audience on Blu-ray, and I look forward to seeing future films by Mahoney and Kravitz. The 2.35:1/1080p/AVC-encoded image looks good but has some imperfections often seen in lower-budget films. The main issue is softness, and some shots have a slightly unfocused appearance, which may be the fault of learning-on-the-fly filmmakers. Detail is pretty good, especially in close-ups, and colors are nicely saturated. Some shots, particularly nighttime scenes, are a bit noisy, and I noticed some aliasing on buildings and in trees. The English 5.1 DTS-HD Master Audio mix is solid, with good range and clarity. This is a quiet movie prone to bursts of rage and excitement, and the mix is nicely balanced to support the two extremes. Dialogue is crisp, effects lightly utilize the surrounds - a car crash is pretty dynamic - and the score is well balanced. English SDH subtitles are available. In the Interview with Director Victoria Mahoney (13:28/HD), she discusses her extensive efforts to get the film made, and Yelling Graffiti (5:45/HD) reveals the filmmakers actually used street art to publicize the film in several cities. The disc also includes a Trailer (2:14/HD). Victoria Mahoney's directorial debut, Yelling to the Sky, is a sign of good things to come, and the film is accomplished in its own right. Zoë Kravitz headlines as a high-school senior dealing with the dangers of her tough neighborhood and the pressures of a broken family. The film strains a bit at the seams with stop-start character development, but Kravitz is excellent. Recommended.